...fill in the empty spaces on the game area. And many new tiles bring even more variety to your games. ...use the coats of arms in cities to score points. ...are meeples that move from one feature to another. ...recall the farmers during the game and secure the fields. 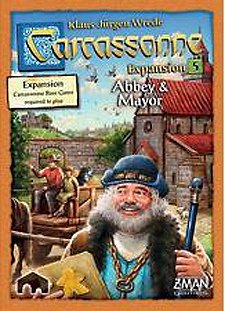 Carcassone base game is required to play.